For centuries, jurists defined international law largely in terms of relations between sovereign states. After the Second World War it became clear that states did not always safeguard the rights of their citizens and the issue of protecting individuals became more important in international law. Consequently, individuals became increasingly seen as subjects of international law. In the 1990s, the Security Council set up special tribunals for the Former Yugoslavia and Rwanda to address the legal responsibilities of individuals in those conflicts. In 2002, the International Criminal Court came into being with a broad mandate to consider genocide, war crimes, crimes against humanity and the crime of aggression. While very promising, the ICC has become embroiled in criticism that it focuses almost exclusively on criminal cases in Africa, without looking at breaches of the law elsewhere. 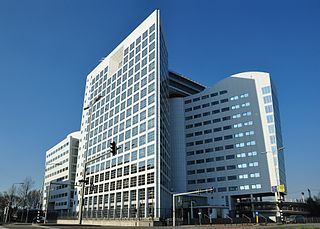 Some also argue that legal prosecution by the ICC may prevent political solutions to conflicts and neglect the opportunity of negotiated settlements of disputes. National courts have now begun to exercise jurisdiction over political leaders of other states under a concept known as "Universal Jurisdiction". This allows national courts to pursue serious crimes even if committed by non-nationals and if the crime took place in another jurisdiction. The case of Augusto Pinochet broke new ground in 1998, when the former Chilean dictator was charged in Spain and arrested in the UK for crimes committed in Chile. Other high officials, such as Henry Kissinger of the US and Ehud Barak of Israel have been pursued in numerous jurisdictions and cannot travel freely for fear of arrest. This section tracks these and other developments. 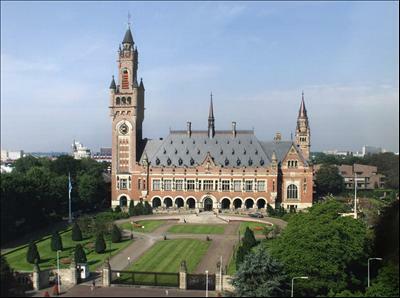 The International Court of Justice is the UN system's highest judicial body. 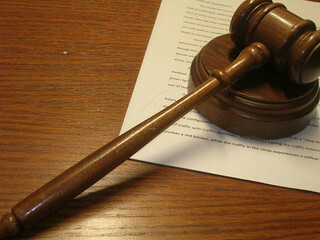 The ICJ settles legal disputes between states, who must agree to abide by the Court's jurisdiction before their case will be heard. The ICJ also gives advisory opinions on legal questions submitted to it by UN bodies and agencies. In this section, we give particular emphasis to the relationship between the ICJ and the Security Council. We follow not only cases in the Yugoslavia and Rwanda tribunals, but also developments at the UN Special Courts in Sierra Leone, Lebanon, Cambodia and East Timor. In addition, the page covers discussions about the trials of former top officials in domestic courts in light of international law principles. The people listed in the "Rogues Gallery" serve as examples of individuals responsible for international crimes. Some of these persons have already been indicted by tribunals, others have not. We include examples from five continents. Special pages exist for; Viktor Bout, Radovan Karadzic, Bob Kerrey, Henry Kissinger, Joseph Kony, Ratko Mladic, Donald Rumsfeld, Charles Taylor, General Wiranto, Augusto Pinochet, Foday Sankoh, and Ariel Sharon. Since the 1980s, plaintiffs have used the US Alien Tort Claims Act, a law originally passed in 1789, to bring civil suits in US courts against individuals who have violated "the law of nations." Recently, human rights activists have used the ATCA to sue transnational corporations for violations of international law outside the US. We offer a special coverage of the US, the UN and International Law. The George W. Bush administration was especially adamant in rejecting the jurisdiction of international law over US citizens and refusing to ratify the statute of the ICC. By contrast, the Obama administration expresses greater support for international law, but its adherence remains limited. A theoretical analysis of many legal issues is to be found in our Universal Justice section. Other materials of interest can be found under General Articles and Links and Resources.